We've been teasing this event on the podcast and now we're about a week away! 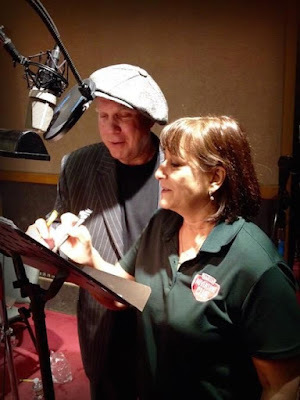 Voice actors Katie Leigh (voice of Connie Kendall) and Will Ryan (voice of Eugene Meltsner) will be holding a book signing at Crossroads Books & Coffee in Peoria, AZ. 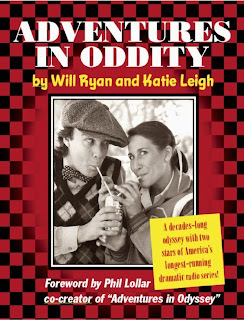 They will be reading passages from their new book, "Adventures in Oddity", performing scenes from an episode of Adventures in Odyssey, and taking time to meet fans and autograph copies of the book. The event will be taking place from 6:30PM to 8:00PM on Friday, May 13th and again on Saturday, May 14th from 10:00AM to 2:00PM. The program will be the same for each day so pick a day and stop by! The ATC team will be there as well and we'd love to meet you. For more info about Crossroads, check out this article from The Peoria Times. Crossroads Books & Coffee is located at 9069 W. Olive Avenue #105, Peoria, AZ 85345.